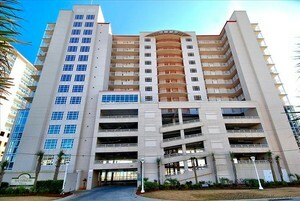 South Shore Villas is one of North Myrtle Beach's newer properties, and is considered to be in the high-end/luxury class. This unique property only has 63 units, making it the ideal size complex for those looking to buy their own piece of the beach and not be overcrowded by tourists. 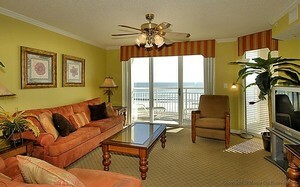 All condos offer king beds and unobstructed oceanfront views. The developers of this property paid careful attention to building aesthetics and architecture, ensuring even the most discerning vacationer or buyer will be impressed by it's luxury. On-site amenities include glass elevators, high speed and wireless internet, and a beautiful layout on the oceanfront which includes a pool, lazy river, hot tub and indoor pool. Contact us or visit Condo-World's sales office located close by in Crescent Beach on 17th Avenue South to view available units!